Maurice Wilkins Centre principal investigator Distinguished Professor Bill Denny has been named the recipient of the American Chemical Society’s 2014 Medicinal Chemistry Award. The prestigious honour recognises outstanding achievement in the sciences that contribute to medicinal chemistry. Professor Denny is the first recipient of the award from outside the United States for more than 30 years. The American Chemical Society is the world’s largest scientific society with membership that exceeds 163,000, and includes more than 24,000 international members from over 100 countries. The Society is a leading source of authoritative scientific information and its awards are internationally renowned. Professor Denny is the co-Director of the Auckland Cancer Society Research Centre (ACSRC), at the University of Auckland. The ACSRC is regarded internationally as one of the world's leading cancer drug development laboratories. It has an impressive history of discovering new drug candidates and bringing them to clinical trial. “This award has been achieved through the collaborative multi-disciplinary culture in the ACSRC, and a group of very talented scientists with whom it has been my great privilege to work for many years,” says Professor Denny. Professor Denny received his PhD (organic synthesis) and DSc (drug design) degrees from the University of Auckland. His research interests include all aspects of the design and evaluation of small-molecule chemotherapeutic agents. He has been involved in the development of 13 drugs to clinical trial, work reported in 650 scientific publications and 90 patent specifications. He is also a founding scientist of the pharmaceutical companies Proacta Inc and Pathway Therapeutics Ltd. He is a past-President of the New Zealand Institute of Chemistry and the New Zealand Society for Oncology, and was appointed an Officer of the New Zealand Order of Merit in 2003. 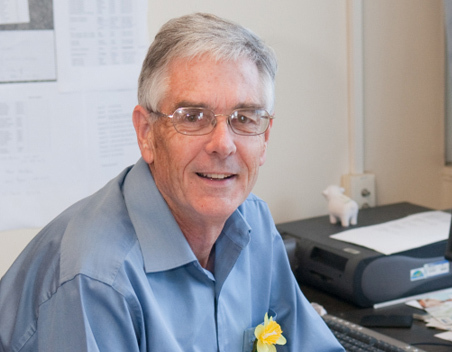 His many awards include the Rutherford Medal of the Royal Society of New Zealand (1995), the Adrien Albert Medal of the UK Royal Society of Chemistry (2005), the Albert Lectureship of the Royal Australian Chemical Institute (2006), the NZBio Biotechnologist of the Year award (2007), and the University of Auckland Commercialisation Medal (2012). “It's wonderful to see Bill receiving this stellar award – it's an extraordinary achievement for a scientist outside the United States, and emphasises how fortunate we are to have Bill here,” says Maurice Wilkins Centre Director Professor Rod Dunbar of the American Chemical Society award. The 2014 Medicinal Chemistry Award will be presented to Professor Denny at the National Medicinal Chemistry Symposium in Charleston, South Carolina, in May next year.